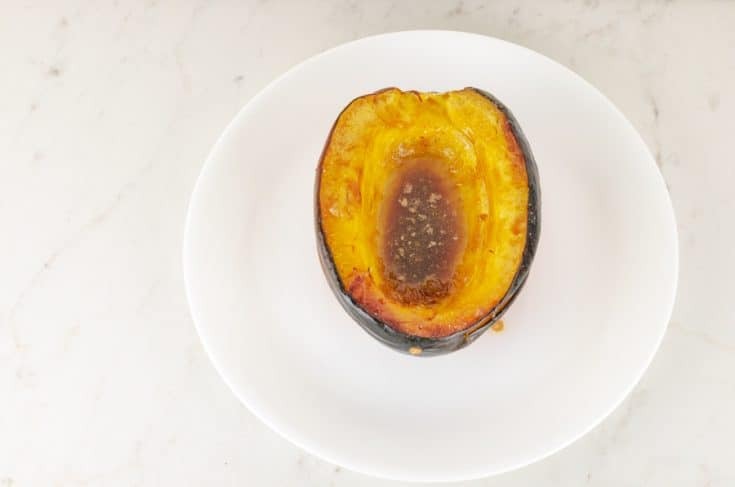 This baked acorn squash recipe with brown sugar is the perfect easy fall side dish. I love this time of year because you can find butternut, spaghetti, and acorn squashes in most grocery stores at a very affordable price. Butternut squash makes for a great soup. Spaghetti squash is a wonderful pasta substitute. I love acorn squash as a side dish to almost any protein. It’s very easy to make, too. 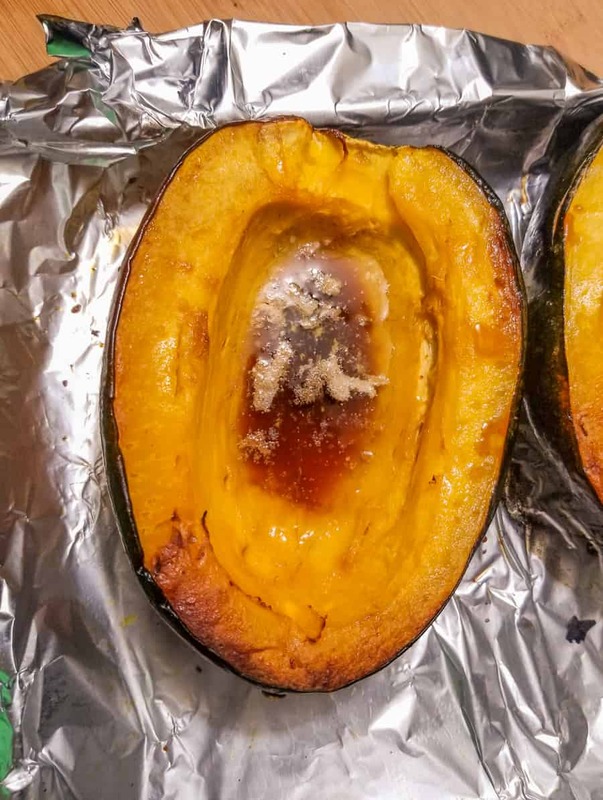 One of my favorite acorn squash recipes is to simply roast it with brown sugar and butter. Cooking acorn squash is pretty darn easy. Here are a couple of ways you can do so. 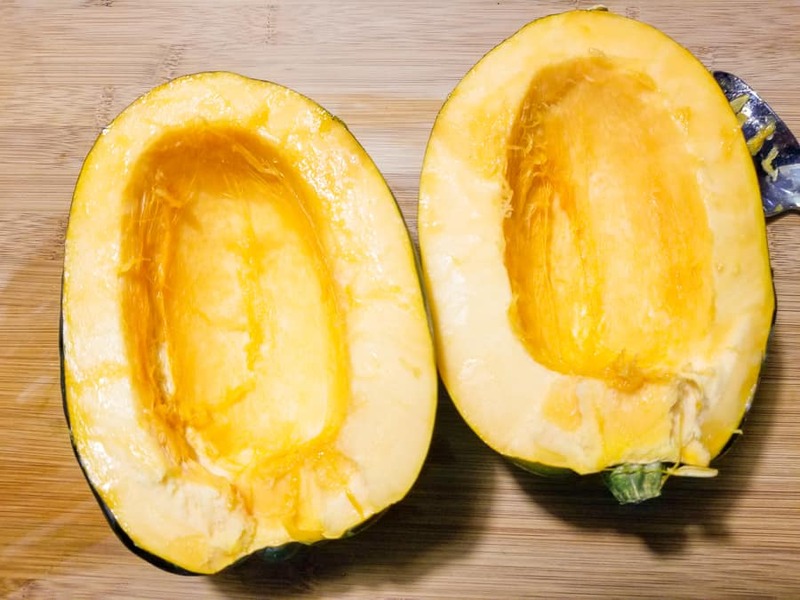 Wondering how to bake acorn squash? 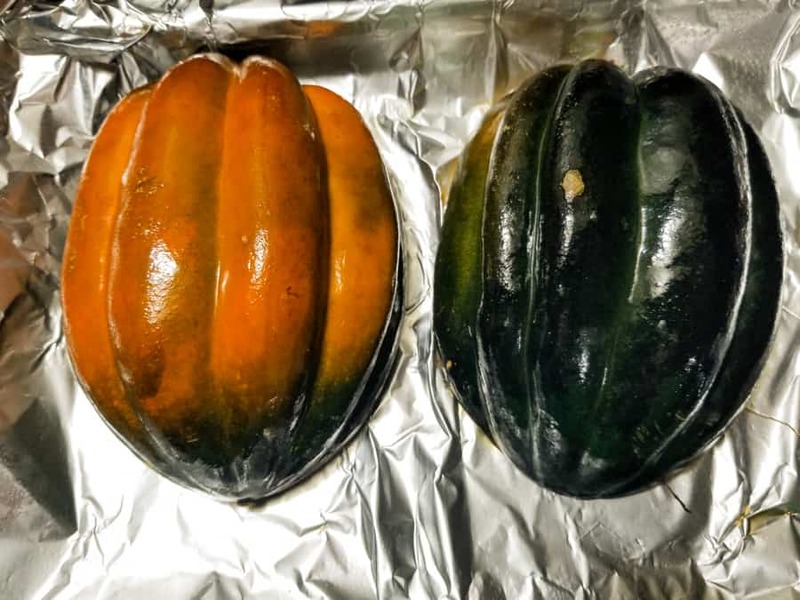 Roasted acorn squash is delicious and all you need to do is preheat your oven to 425°F, cut your acorn squash in half, scoop out the seeds, place on a baking sheet and bake. You can even microwave acorn squash. First, pierce the whole squash several times with a knife. Put the acorn squash on a microwave-safe dish and microwave for about 5 minutes. Cut the squash in half, scoop out the seeds and any excess fibers, then put the squash cut side down back on the dish. Microwave it for about 5 – 8 more minutes or until your desired tenderness. It will be very hot, so let it sit about 5 minutes before serving seasoned as you like. You could also use maple syrup or honey for the sweetener if you’d prefer. The prep is also super quick. Just cut the squash in half. If it’s really hard you may want to microwave it for a few minutes to soften after poking a few times with a knife. Stick it on a baking sheet and put it in the oven. The flesh will get more golden and the skin darkens. Then flip it and top with brown sugar, butter, and seasonings and finish roasting. I like to be all rustic and serve the halves but you can scoop it out and mash if you prefer. 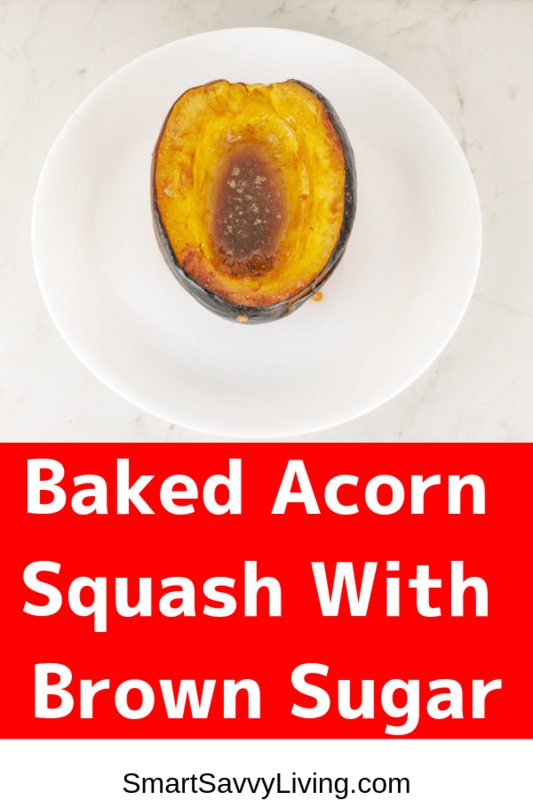 This simply roasted acorn squash recipe is super easy to make and goes with almost any meal. 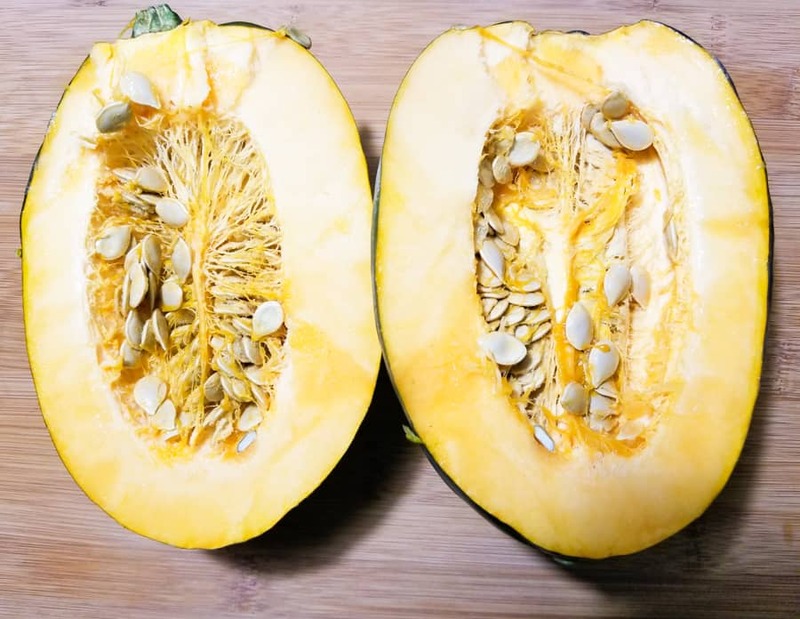 Prepare a baking dish that is large enough to hold the number of squash halves you are roasting by lining it with foil or parchment paper and greasing with non-stick cooking spray or butter. 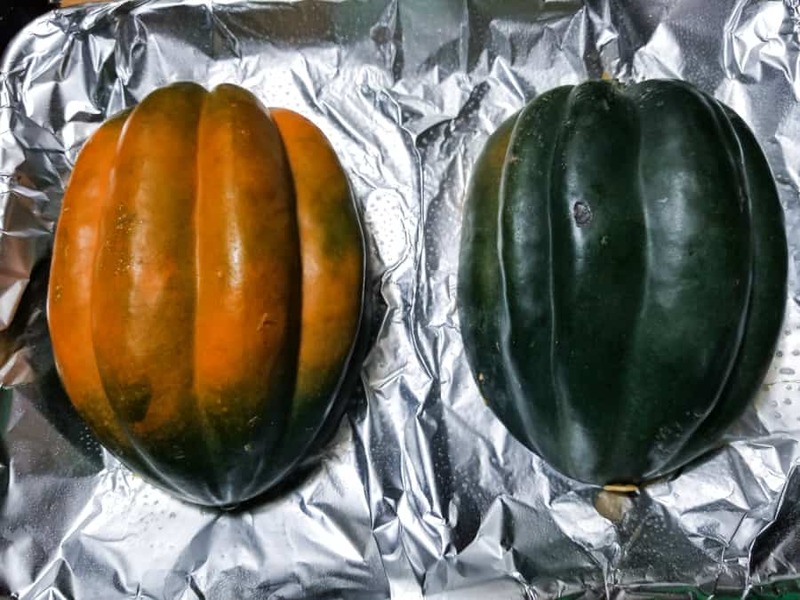 Cut the acorn squash in half from stem to bottom. Scoop out any seeds and excess fibers. Place the squash cut side down onto the prepared baking sheet. 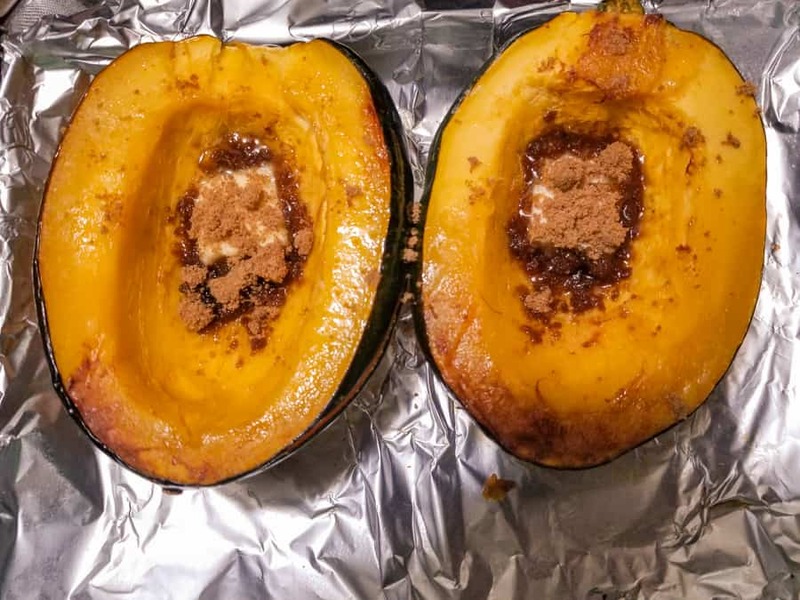 Remove the squash from the oven and carefully flip to be cut side up.Place one tablespoon of butter and one tablespoon of brown sugar on each squash half. Sprinkle each half with a pinch of salt, and any other desired seasonings. 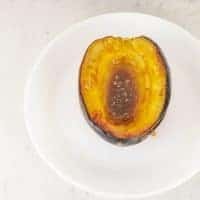 Bake another 25 to 30 minutes or until the flesh of the acorn squash can easily be pierced with a knife or your desired tenderness. Serve warm with a spoon so each spoonful can be bathed in brown sugar butter goodness. You can use honey or maple syrup for your sweetener if preferred. Yum, sounds amazing! Pinning to try!